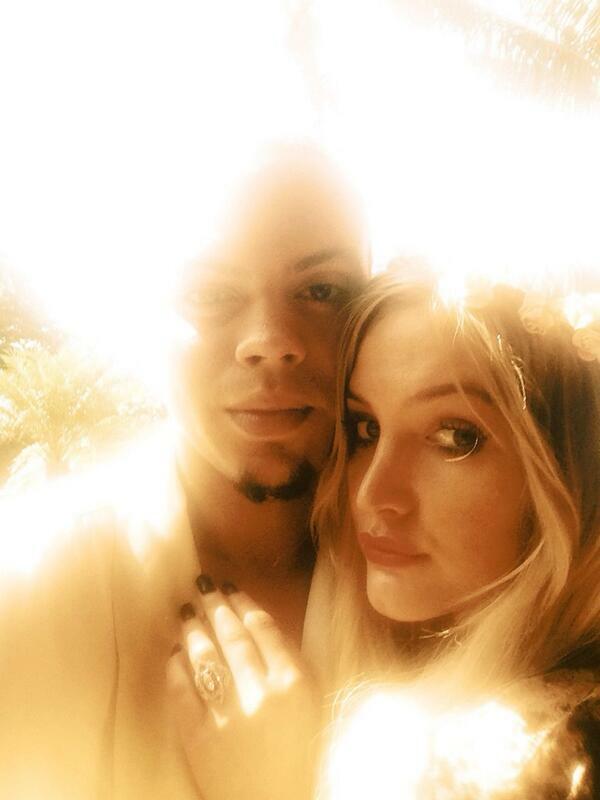 Ashlee Simpson & Evan Ross Engaged? When Did They Even Start Dating?? Well this was an odd match in I want some chocolate in my milk heaven!Ashlee Simpson sister of Jessica Simpson and Evan Ross son of singer Diana Ross are officially engaged! Ashlee shared a photo on Instagram announcing the engagement. My question is when did they even start dating? I guess she didn’t want this relationship as public as the one she had with Pete Wentz oh well congrats! Previous Paulina Rubio Sues Telemundo?! Whaaat! Next Ciara Is Pregnant! She’s So Smart Getting Knocked Up By A Rapper Lol!